Published: March 18, 2019 10:18 Mohammad El Jachi, Special to tabloid! The Dubai metro serves tens of thousands of passengers on a daily basis. And this week, they’re getting a special treat in the form of the Dubai Metro Music Fetival, a series of free daily musical performances by regional and international artists at the BurJuman, Union, Mall of the Emirates, DMCC and Burj Khalifa stations, starting at 6am. An initiative of Brand Dubai, the event is “a celebration of Dubai’s spirit of cultural diversity and inclusiveness”, according to Mona Al Marri, director general at the Government of Dubai Media Office. “The event will convey Dubai’s messages of harmony and tolerance in the universal language of music,” she added. Here are all the artists you can catch daily until March 23. Khadija Salem Suroor Juma Dhalam has always been driven and passionate about music and eventually began performing live three years ago when her uncle gave her a keyboard. She has widened her repertoire through daily practice sessions ranging from five to six hours, and will perform on the guitar throughout the festival. Taher Jafar Albahrani is a self-taught piano player. He began learning when he was 14 through YouTube tutorials, and would go on to perform at several festivals and cultural events in Saudi Arabia. He was also a semi-finalist in the third season of ‘Arabs Got Talent’. 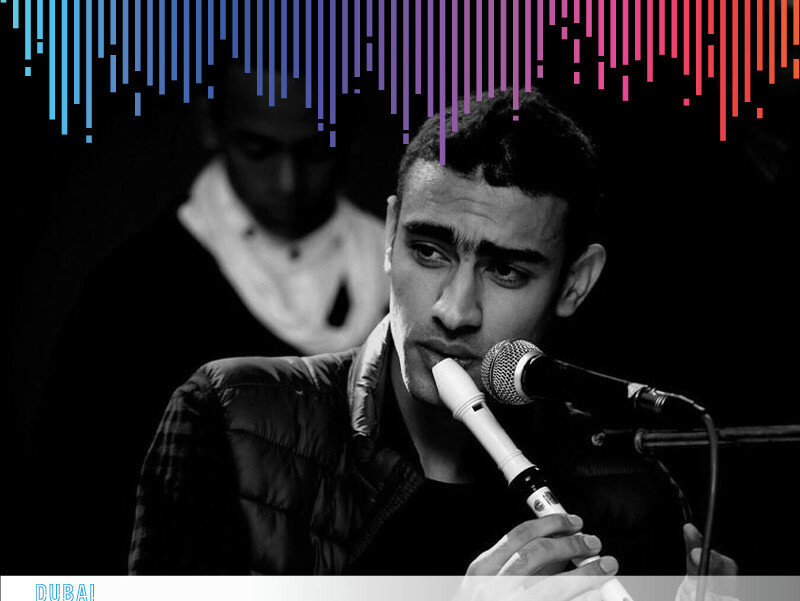 Medhat Mamdouh Mohammad Mansour Elbahnasawy, another semi-finalist on MBC’s ‘Arabs Got Talent’, combines beatboxing and the recorder, and has performed in Abu Dhabi, Dubai, Egypt and Germany. His performances on the reality show — elaborate and energetic — require greater stamina on the recorder than most conventional players would require. He’ll be performing a set of covers and originals at the festival. Khaldun Ebrahim Hussain Allbaz has been able to make a living for himself as a self-taught percussionist and hang player. Invented in 2000, the percussion instrument consists of two welded half shells of steel that, when struck, can produce a wide variety of notes and tones. Albaz took up the instrument in 2011, and has since been intent on doing more with the instrument and his increasingly technical live set. He has played across the Middle East, South Asia and Europe. Omar Hamdan is a professional musician, guitarist and oud and buzuq player. He composes for short films, commercials and other artists. He will be performing on the buzuq, a long-necked fretted lute used extensively in Levantine and Kurdish music. Habib Khalil is a Lebanese accordion player. He was drawn to the instrument after seeing it in cartoons as a child. His neighbour, a music teacher, began to teach him. His neighbour who was also a music teacher started teaching him how to play. He would go on to immerse himself in genres like folk, waltz, polka and tango. 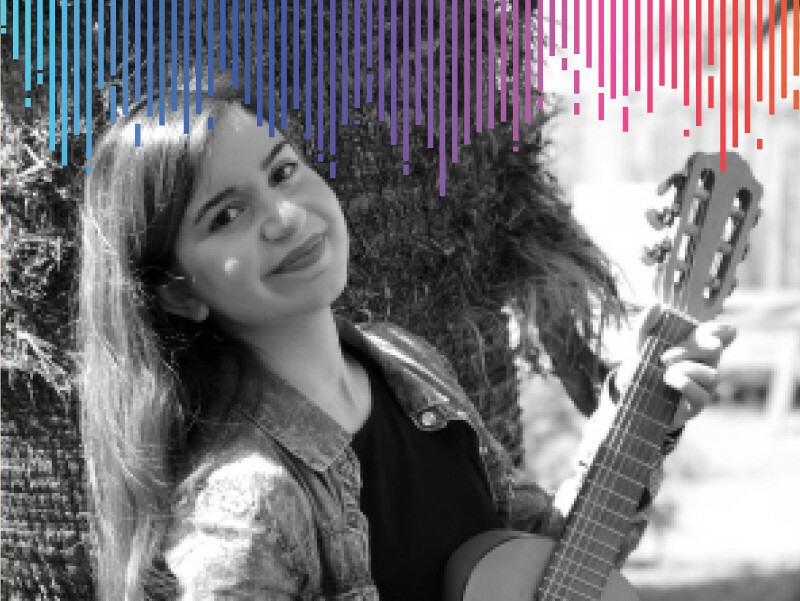 Talia Lahoed, a Lebanese singer and guitar player, now performs at weddings, festivals and other events after building her social media following as a YouTube cover artist from a very early age. She will perform a set of pop covers and originals. Rami Kanjou is a well-respected Syrian qanun player. The qanun is a flat, stringed instrument (part of the traditional Arabic ensemble), that can play all notes on the Arabic scale open-stringed. Traditionally, the qanun sets the pitch and tuning of a musical ensemble and is equated with the piano as a western counterpart. Kanjou will bring his qanun to the festival, performing several classical and contemporary pieces. Formed by Karam Salahie, Amjad Edris and Harout Jirichian, Basita Band draws from a deep pool of influences, interpreting world music through a modern Arabic lens. Their upbeat fusion brings the best of East and West into one infectious performance. Abdul Hadi is a singular multi-instrumentalist, singer-songwriter, instrument builder and activist from West Java. His unique handcrafted bamboo instrument combines the guitar with the didgeridoo (a wind instrument developed by the Aboriginal people) with an added percussive element. He has dedicated his life and his music towards creating powerful social change and fostering creativity; in Indonesia and worldwide. He began touring in late 2012, performing all through Australia and at a number of international festivals. 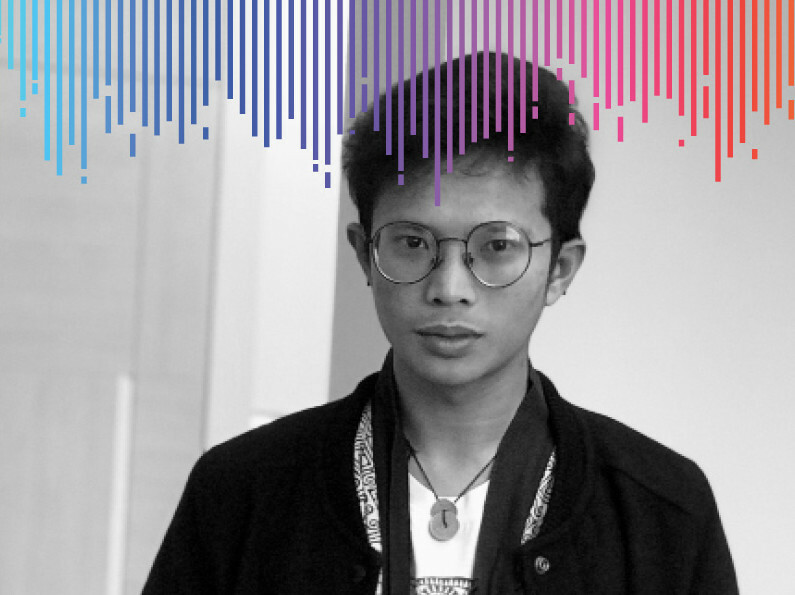 He is a TEDx speaker, an inspiration in his native Bali, and a chosen as a ‘Global Youth Hero’ of 2018 by Global Youth Leaders. Agung Perdana plays the talempong, a traditional instrument from the province of West Sumatra, Indonesia. The talempong consists of a series of gongs that produce rich, interwoven rhythms. Forms of the instrument are used in ceremonies and in traditional and modern music. He continues to explore and innovate in his talempong performance. 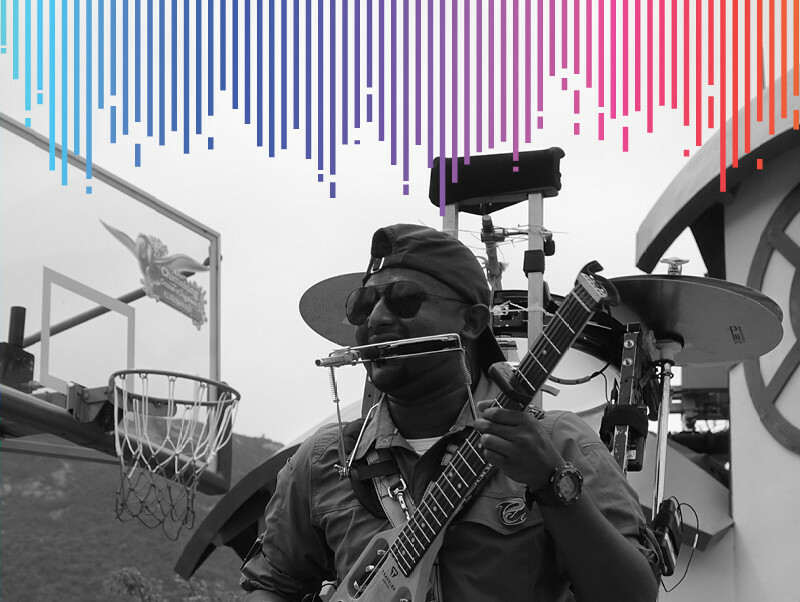 Gladson Samuel Peter is an international singer-songwriter and multi-instrumentalist from Mumbai who performs with more than 45 musical instruments. Gladson has made waves on shows like ‘India’s Got Talent’, along with hundreds of shows under his belt, regionally and internationally. He does public speaking, including three TEDx talks, to motivate young and old alike towards feats of creativity. He plays the guitar, kazoo, harmonica, bass drum, snare drum, cymbals and a number of other instruments at the same time in his one-man band. Fedor Grigorev is a street musician from Russia. While based in St Petersburg, he frequents the streets of Helsinki on weekends and holidays to practice his craft. His street act consists of several bottles, strung up on a wood and plastic frame that he strikes to produce notes that he strings together into music as complex as renditions of Bach. He has been a clown in a small local theatre, an assistant camera operator, and a member of a rock band. Grigorev definitely also has a charm and showmanship to match his idiosyncratic instrument choice. Alexander Lemeshev is a world-renowned glass harp player. He played bass in a rock and jazz band earlier on in his career, but has dedicated himself to the glass harp since 2002. Lemeshev has toured through Russia, Italy, Germany, Finland, France, Mexico, the USA and other countries. He’s performed at the Petrovsky Ball in Venice, a concert in honour of Elena Obraztsova, and the closing ceremony of the Paralympics in Sochi among many other concerts and festivals. Lemeshev also holds member in Glass Music International. 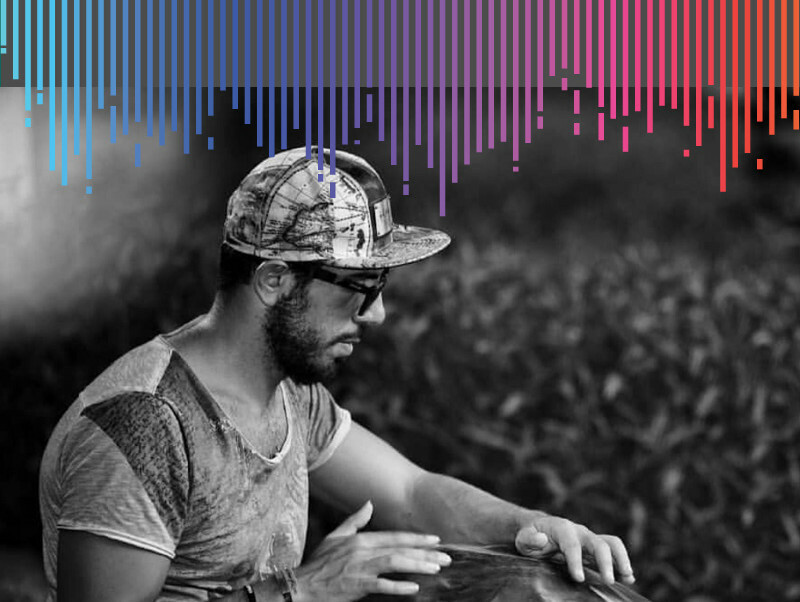 Simone Concas is a harmonica beat-boxer from Sardinia, Italy. 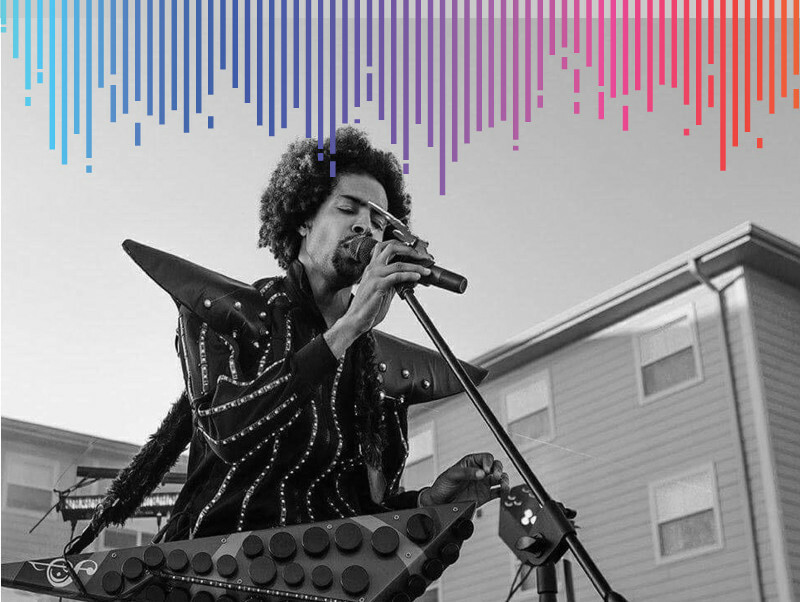 His unique style developed organically, through many years of musical influence, followed by a year of experimentation with the beatbox-harmonica, the didgeridoo and electronic music production. He began performing in 2011 at open mic events, which led to him pursuing a career as a street artist. Three years later, he won the first prize in ‘Italy’s Got Talent’, and played in festivals, concerts and events throughout most of the summer, totalling 81 performances. Massimo Tortella is a singer, producer and multi-instrumentalist. He plays the classical, electric and bass guitar, along with drums. Tortella has conducted professional workshops in and out of schools, and played hundreds of shows, from folk to indie to hard-core punk. Porcapizza, Tortella’s one-man-band, features instruments made from recycled material such as tennis rackets, a telephone and a typewriter. He has even taught himself to improvise on these devised instruments. Tortella combines creativity, humour and a distinct charm in his performance of both covers and original material. Michael Gorecki is a 24-year old Polish musician who plays the pan flute, a musical instrument that consists of multiple wooden, bamboo or reed pipes of gradually increasing length. 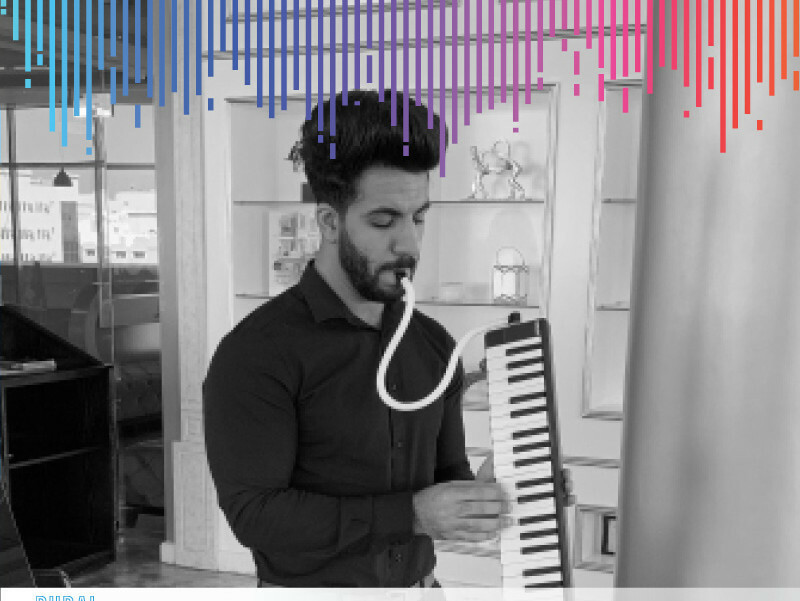 Goreki fell in love with the pan flute after a performance he saw when he was younger. Michael has performed all across Poland, Germany and Spain. He loves performing old songs like ‘Lonely Shepherd’, ‘El Condor Pasa’ and ‘The Last of the Mohicans’, aside from covers of modern pop songs like ‘Despacito’. Suleiman started playing the bansuri, a side blown flute that originates from India, at the age of three. By the age of five, he was already performing publicly. Suleiman rose to national fame after winning 2014’s NAAD-BHED, an Indian classical music talent show. He won India’s Got Talent two years later. He performs Indian and western classical music at home and abroad. Matias Arce is an actor and puppeteer who graduated from the Provincial School of Theatre of Santa Fe. He has studied manipulation, construction and interpretation in Puppet Theater, utilising various techniques and materials. These include gloves, marots (rod puppets) and yarn puppets. He founded the puppet group ‘Hasta las Manos’ in 2007 and was part of the Municipal Puppet Theatre’s cast from 2009 to 2012. Since 2013, he has lived in São Paulo and is a cast member in the children’s show ‘Paquitos Cueca Cuela’. His act involves the careful control of a puppet, seated at a miniature piano and playing a range of showpieces. Bobby Valchev is composer, pianist, singer and trumpetist. He has performed at festivals in Italy, Spain, France, Germany and Poland. Although he graduated from the National Music Academy-Sofia with a degree in classical music, jazz is the music that speaks to him the most. He has jammed with multi-Grammy Award winning jazzmen like George Benson, bassist Marcus Miller and jazz drummer Billy Cobham. Valchez has performed in many jazz festivals in Europe. He has also played at the Dubai Jazz Festival (three years after his relocation to Dubai) in 2014, where he supported the band Earth, Wind and Fire. He performed three times at same festival in 2016, and once in 2017 at the Dubai Jazz Garden Festival. Adam Kadabra’s ‘Lap Tapping’ technique was born of an accident that fractured one of his fingers, which made conventional playing difficult. Kadabra places the guitar on his lap and uses a method of fret tapping that, if done with enough force and precision, can create intricate and captivating melodies. While his finger has healed, he’s only moved forward with Lap Tapping. Loseva is a drumming addict, as is evident from her prolific bongo playing across stages worldwide for the last five years. The Belarusian percussionist is now a DJ in various venues in Dubai. Aksana Laukava has played the saxophone for the last 15 years across various venues worldwide, and has been based in Dubai for the last two. She has recently been booked for a string of private and public parties and events. 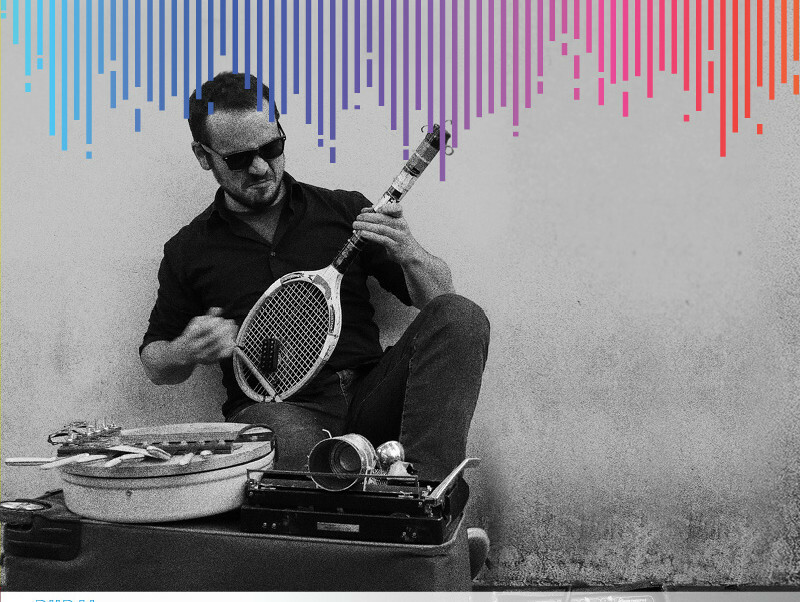 The musician and singer-songwriter ‘Psyche of Sound’ has played blistering street performances in New York. The Zen drum, an electronic percussions instrument, supplements and amplifies this fusion of rock, rap and soul. The Zen drum is often the centre of his performances. All 25 acts will perform on rotation basis from 6am to 12pm, and then once more from 4pm to 9pm at Burjuman, Union, Mall of the Emirates and DMCC metro stations. Performances at Burj Khalifa will last from 12pm to 4pm.